This post is for the 2015 changes. Want the newest information? Check out our blog Warning: UK Card Processing Fees Change 2016. 2015 is set to be the most volatile year to date for card processing fees. This is the year that the European Union (“EU”) cap on interchange fees will take effect in the UK. Good news for card-accepting businesses? Will it mean lower card processing fees? We are a little skeptical based on past form of some merchant acquirers. The changes will impact both Visa and MasterCard but so far only Visa has confirmed its revised debit interchange rates to its members. We expect the revised Mastercard debit and revised credit interchange to be announced later in H2 2015 and probably at around the maximum level of the EU cap. * Rate applies to chip-and-pin non-premium transactions. 0.2% of transaction value + 1 pence per transaction (capped at a total of 50p) for chip and pin transactions. Remember, interchange is a cost to merchant acquirers and is recovered from merchants through the Merchant Service Charge which merchants pay. Non-secure transactions carry an additional cost of 10p per transaction and Visa business debit card transactions are capped at a higher amount. The UK debit card interchange is currently based on a fixed rate per transaction of 8p for chip and pin transactions. Acquirers add a markup then typically charge MSC of 12p-14p per transaction to SME merchants. Debit card costs (unlike credit card costs) are unchanged irrespective of the value of the transaction. Merchants currently pay the same cost for a £5 debit transaction and a £200 debit transaction. However, when interchange costs change from a fixed rate per transaction to a percentage of transaction value, higher Average Transaction Values (ATV) will incur higher interchange costs (and vice versa) and, in isolation, you would expect merchant acquirers to pass on these costs/savings to merchants through higher or lower MSC. As you can see, cheaper ATVs will incur an interchange cost below the current cost. However, as ATVs increase, the revised cost gets significantly larger. An ATV of £245 will incur interchange costs of 50p — over 6 times the current interchange cost of 8p. 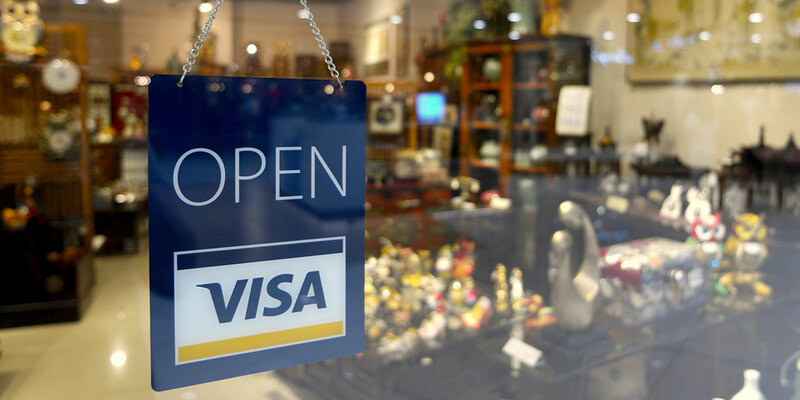 How will merchant acquirer’s re-price your Visa debit transactions? We have spoken with a few merchant acquirers and asked this exact question. All admit they haven’t yet fully got their heads around what exactly they will do and are busy running various scenarios through their pricing models, trying to find the optimal strategy. Customer re-pricing is a time of great opportunity and risk for merchant acquirers. How much extra profit can they squeeze out without unnecessarily losing customers? These new interchange rates are so wide-ranging they offer an unprecedented level of opportunity, risk and uncertainty. Although this is an industry-wide change, not all merchant acquirers will adopt the same re-pricing strategy and there will be plenty of differing approaches so shop around and find the best deals. Here are our thoughts based purely on the Visa debit changes. It is important to stress that any merchant on Interchange Plus pricing receives the benefit/cost of the changes immediately. However, most SMEs in the UK market are not on Interchange Plus pricing. Instead, they are on blended pricing and therefore the acquirer has complete discretion as to the extent to which changes are passed on. Lower ATV merchants receive a price cut and higher ATV merchants receive a price increase. This seems unlikely as acquirers will not want to give away all of the interchange benefits to low ATV merchants and will not want to risk customer losses from the higher ATV merchants. Acquirers take all benefit from low ATV interchange reductions and bear the cost of higher ATV interchange increases. This seems unlikely as the average UK debit ATV is currently £48.38, which is higher than the £35 ATV cross-over point. The only reason for an acquirer to not change anything is if they don’t want to re-price twice and want to see the impact of the credit card interchange reductions which will follow in H2 2015. Lower ATV merchants would not be re-priced automatically unless they complain and want to switch — this would come down to the acquirer’s retention policy. Re-pricing for higher ATV merchants, where the acquirer only suffers marginally increased interchange, would be deferred until the credit card interchange decreases take effect. The acquirer would then not pass on all of the credit card interchange reduction to cushion the higher debit interchange costs. Automatic re-pricing for higher ATV merchants, where the acquirer suffers a material increase in interchange costs. Acquirers will stress that this is industry-wide and that there is probably a price reductions to follow later in the year so the merchant should not switch. We recommend regularly checking your current card processing fees against the market. If you could save money, we recommend switching. Speak to other businesses about what their merchant acquirers are telling them. Send us copies of your letters, we’d be happy to explain the impact and assess what you can do.